The DCV100N compact leaf blower by Dewalt is a perfect garden tool which has been designed for use by professionals and DIY enthusiasts. This versatile leaf blower is caters for both home domestic and business commercial environments and offers users a regal high air flow rate of up to 80m/s with an 18,000 rpm fan speed; clearing out leaves and debris at an extreme rate. It features an on/off locking switch for constant use while boasting a variable speed control to suit a variety of applications. The DCV100N leaf blowers’ length has been reduced by 6mm and is compact and lightweight; weighing only 1.8Kg it helps to reduce user fatigue over long periods of time and increases user comfort. 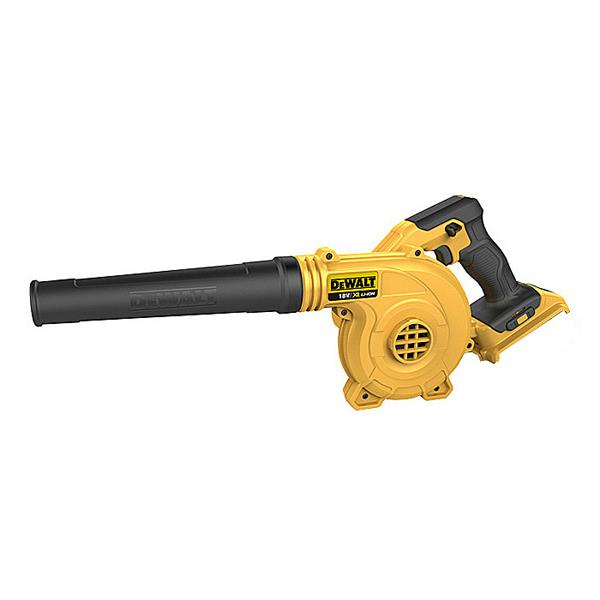 When powered by a 4.0Ah 18V XR li-ion battery the blower operates for a range of 20 - 60 minutes, speed dependant. This multi-purpose leaf blower, isn't just limited for use within garden cleaning applications. If you're a professional tradesman with a workshop or van etc, the blower is the perfect fast and efficient cleaning tool ideal for the cleaning of saw dust, wood chippings and more. Save yourself time and get the job done fast. ◦Suits domestic and commercial environments. ◦For professionals and DIY enthusiasts. ◦80 m/s high air flow rate. ◦Locking on / off switch. ◦Compact, lightweight and easy to use.